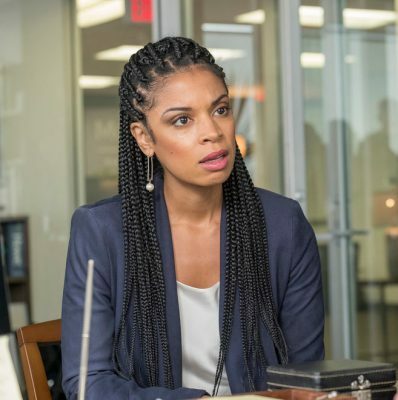 Beth Pearson’s Natural Hair On This Is Us (TIU) on NBC is one of the many great new hair stories included in the new Fall 2018 TV season shows. 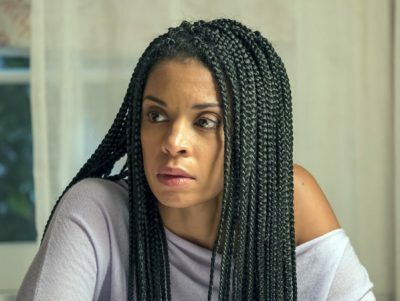 Actress Susan Kelechi Watson (November 17, 1980) plays the strong, sassy wife of Randall Pearson (Sterling K. Brown) on the critically acclaimed hit drama which highlights the lives and families of two parents, and their three children, born on their father’s birthday. Since the very episode, Beth has showcased an array of beautiful natural hairstyles ranging from stunning box braids to a spectacular afro which works in perfect harmony with her steely character as a mom to two natural and one adopted daughter. Yes, she’s also been shown with a simple, but elegant ponytail which highlights how natural hair can be worn in a dizzying array of gorgeous styles. Just like everything else the writers have so thoughtfully presented on TIU, Beth’s hair is just one component of the entire Randall/Beth marriage. It’s not a perfect marriage, but it’s presented as realistically as possible. Last season when talking to Deja’ (Lyric Ross) mother about his wife Randall described Beth as “a Black Queen” who sleeps in “a headscarf and coconut oil”. While it may seem like a small thing to most people, the way Beth wears her hair on TIU helps to shape her character and underlines her relationship not only with Randall and her family, the rest of the world. Watson has shared in the media that she intentionally is constantly showcasing her naturally textured hair as Beth with the blessing of NBC. She has explained her constantly changing natural hairstyles on the show is her very personal “shout-out to black women” everyone. She is demonstrating the death of the old American standard of beauty. Women of all ages and color can do “beautiful things” with their hair to honor all different textures. The 37-year-old actress who is directly descended from Jamaican and Nigerian ancestors has confessed to thinking through her story lines in advance with thoughts about how to wear her hair. Watson has confessed she creates new hairstyles with the help of her on-set hairstylist which are most appropriate for the story’s message. Once she has figured out in her head what she wants to do with her hair, she works with her stylist Renee to create it. Watson has shared with the media in the past that she loves to play around with her hair and try out lots of different looks. The actress plays with her hair both on and off screen and loves to experiment. Since she likes to constantly change up her hairstyle, Watson is a big advocate for add-on hair. 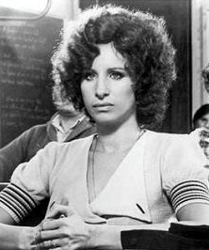 She also embraces an array of clip-ins, add-on braids, and various crochet hair options. Not only does Watson as Beth showcase her fabulous naturally texture hair in an array of beautiful hairstyle, but her story lines also have included hair related issues with her family. 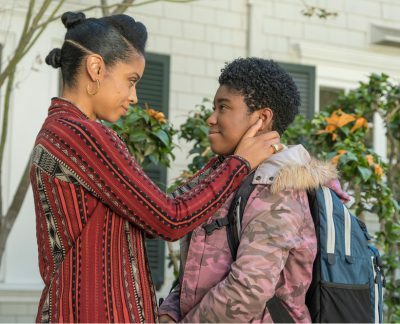 Last season her character developed growing concern over the well-being and self-esteem of her adopted daughter Deja who was refusing to deal with her hair. After a touching bonding moment between Beth and Deja in the family home, the hair challenges of the newest member of the family seemed resolved. That is, until an awkward Randall intrudes on the new trust Deja was building with Beth. Trying to help Deja feel comfortable in their home and with her own natural beauty proven to be a major Pearson challenge. Even though the outspoken teenager eventually chopped all her own naturally textured hair off, the ultimate message was delivered. This Is Us provides so many hair stigma busting messages for 2018 that it’s inspired many devoted fans. The hit TV serious has launched a new appreciation and awareness that all hair is beautiful, regardless of the type, texture, length or hairstyle. Beyoncé is never far from the spotlight. Recently there was rumors which spread like wildfire that the superstar actually was wearing a fake bump. Even Kathy Lee and Hoda showed a video of Beyoncé in the video where her bump appeared to collapse. Of course Beyoncé’s reps said the rumors were ridiculous and that the popular singer is definitely pregnant. Putting aside Beyoncé’s fake bump what about her fake hair? It has been rumored that she spends upwards of $2 million dollars a year on wigs alone. Anyone who follows Beyoncé knows that she transitions from super straight to super wavy and then curly hair in no time. For some of her televised performances she has changed her hair as often as her costumes. In the past InTouch magazine reported that Beyoncé has wigs made from her own hair clippings. Since the wigs are hand made and use all or part of Beyoncé’s real hair, they can cost thousands of dollars to make. 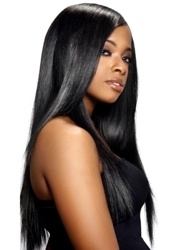 Insider reports on the custom made wigs have indicated that they look like real hair and are spectacular. Companies like to push the envelope with their advertisements. Sometimes the gamble works, sometimes it doesn’t, and sometimes, like in the case of Nivea, the whole thing turns into a major social network and news fiasco. 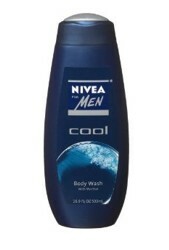 Nivea, a company which specializes in skin-care products, recently released a print ad that it has since pulled. The ad, which generate almost immediate outrage showed an African American man preparing to toss a decapitated head (his own?) with an afro-style haircut. The ad copy reads: “Re-Civilize Yourself.” The underlying message was designed to say be that afros are not civilized hairstyles. Oprah’s longtime hairstylist Andre Walker opens up to O, The Oprah Magazine in the April issue (on newsstands now)! 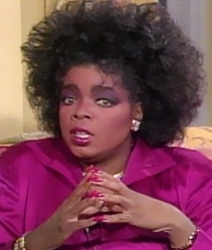 “I’m dying to get my hands in your hair.” That’s the note stylist Andre Walker sent Oprah in 1985, after seeing her on the talk show AM Chicago. “Back then it was just Oprah, one publicist, and one producer,” recalls Walker, who at the time owned a Chicago salon. WHAT: SoftSheen-Carson, the #1 ethnic haircare brand in the world, brings its signature Roots of Nature “Picture of Strength,” event to Los Angeles on March 19th, 2011, featuring an exciting day of beauty and charity, bringing the community together and celebrating our strong roots. Attendees will receive a free family portrait from professional photographers, complimentary hair styling by SoftSheen-Carson Celebrity Stylists, and complimentary mini-makeovers by professional Maybelline New York Makeup Artists. Ashton Jones is a 24 year old retail manager from Nashville, Tennessee wowed Steven Tyler, Jennifer Lopez and Randy Jackson with her big beautiful voice. The tiny songbird has big beautiful natural curls which billowed out around her pretty face like a halo. Ashton worked hard to make it to her solo after suffering through a crazy group experience with Ashley Sullivan who had a meltdown. Sullivan joined Ashton’s group late in the game and then because of the pressure begged to quit. American Idol producers convinced the highly emotional girl to talk to her boyfriend and try to rethink her decision to leave the show. She did and made it into the solo round. Steven agreed “beautiful song. I like the way you attacked it.” Randy told the other judges when referring to Ashton “when you’ve got it, you’ve got it, no matter what age.” Although Ashton made the latest cuts, the road is a long one on American Idol. But watch for Ashton, her beautiful voice and her bodacious curls to stand out from the crowd. When American Idol winner Jordin Brianna Sparks (born December 22, 1989) first appeared on the sixth season of the reality TV show she showcased her stunning natural curls. She was noteworthy not only for her beautiful ringlets and voice, but for her age. At the time she won AI she was the youngest winner in the history of the competition. As she progressed towards the finals her hair went through a transition from tightly curled to lightly waved. The American pop and R&B singer, songwriter, model and actress from Glendale, Arizona also changed her make-up and fashions. Super Bowl Media Day Hair Winner? 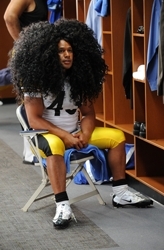 Troy Polamalu or Clay Matthews? Even though Arlington Texas was hit in the early morning hours by an arctic storm which blanketed the area in a thick sheet of treacherous ice, media day for Super Bowl XLV was held as usual at the new Cowboys Stadium. Mobs of media were transported across icy highways and herded into the arena where they were only allowed 60 minutes, counted down on a scoreboard, to interview the players from both teams. The media didn’t have either a lot of time or a lot of new topics to talk about. When all else fails, hair is a great topic. And Troy Polomalu and Clay Matthews’ hair was a key topic today at Cowboy’s Stadium. The Hair Wars of Steeler’s Troy Polomalu or Green Bay’s Clay Matthews continued to be a key topic. So who really has the best hair between Polomalu or Matthews? Of course everyone will have their opinions, but personally I think Troy’s naturally curly tresses spectacular. Yes, Matthews has nice blonde tresses but when placed alongside those thick raven black Polomalu strands I think there’s no contest. I recently escaped for a long Thanksgiving weekend to gorgeous South Padre Island a few miles from where Texas and Mexico intersect. S.P.I. as the locals call it, is a wonderful beach resort to visit in off season due to the generally mild winters and the lack of tourists and traffic jams. I’ve been visiting S.P.I. almost yearly since the late 1980s when my now deceased husband Michael Thayer and I discovered it’s relaxing charms. It was our favorite place to go and hang out by the water’s edge. The high rise condo where I stay during my S.P.I. visits is not equipped with high speed Internet. In between sleeping until noon and afternoon naps, I curl up and watch endless movies.